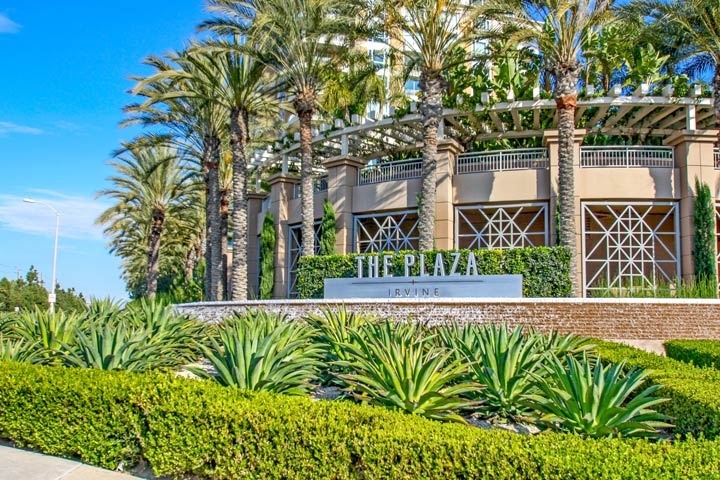 The Plaza in Irvine, Ca is OC's hotest newer luxury condo building on the edge of the Irvine and Newport Beach area in Southern California. The condos have a wide range of real estate prices depending if it's a smaller unit or a penthouse condo with select Plaza condos will have great city light views and back bay Newport Beach views. The Plaza offers its residents a hotel-like atmosphere providing a Concierge service, 24 hour desk service and security, 3,000 square foot state-of-the-art gym, two pools and a spa, outdoor entertaining areas with cabanas, club rooms with caterers kitchen and billiards room. Of course, you are also minutes to world class shopping and restaurants in the Newport Beach & Irvine area. For more information about The Plaza Irvine condos please contact us today at 888-990-7111. We are more than happy to show you these great new urban condos to you!